Maradana Police have launched investigations following recovery of 70 kilos of Kerala cannabis from a car that had crashed onto the flyover bridge at Maradana and hit its central island. The vehicle’s front wheel had dislodged and there is severe damage to the vehicle, police said. The accident had occurred between 3.30 am and 4.00 am. 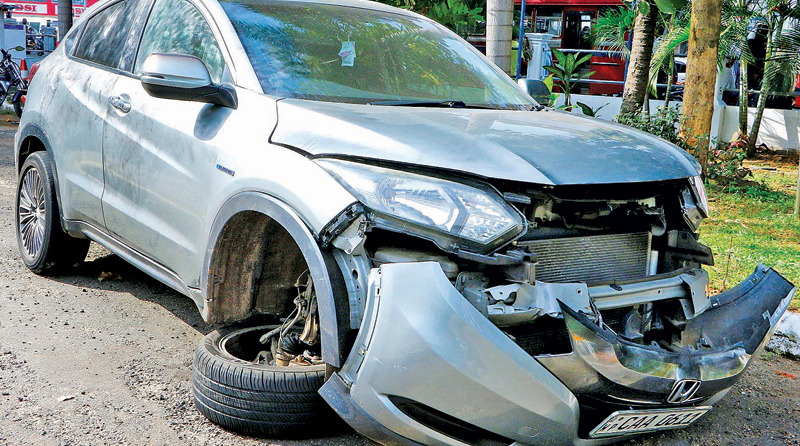 He said the car had been given for the use of a certain rent-a-car establishment located in Bambalapitiya about four months back. The suspects in the incident had hired it from the rent-a-car-on business on February 11.